icare NSW has opened a state of the art Dust Diseases Clinic, improving access to medical screening and boosting support services for NSW workers impacted by exposure to asbestos, silica and other hazardous dusts. The official opening took place on Friday and was attended by Treasurer and Minister for Industrial Relations Dominic Perrottet, Karen Banton (Bernie Banton Foundation), icare CEO and Managing Director John Nagle and more than 30 icare customers, industry representatives and advocates for dust diseases safety. Located at icare’s new premises on Pitt Street in the Sydney central business district, the new Dust Diseases Clinic has been designed around the customer, with the latest medical technology and is fully wheelchair accessible. Mr Perrottet said the clinic’s screening services will be free of charge and include access to x-ray, full lung function test and a medical examination with a medical specialist. He said workers screened at the icare clinic can have an appointment, diagnosis and medical certification completed quickly, allowing for the determination of their claim within 10 to 30 days. 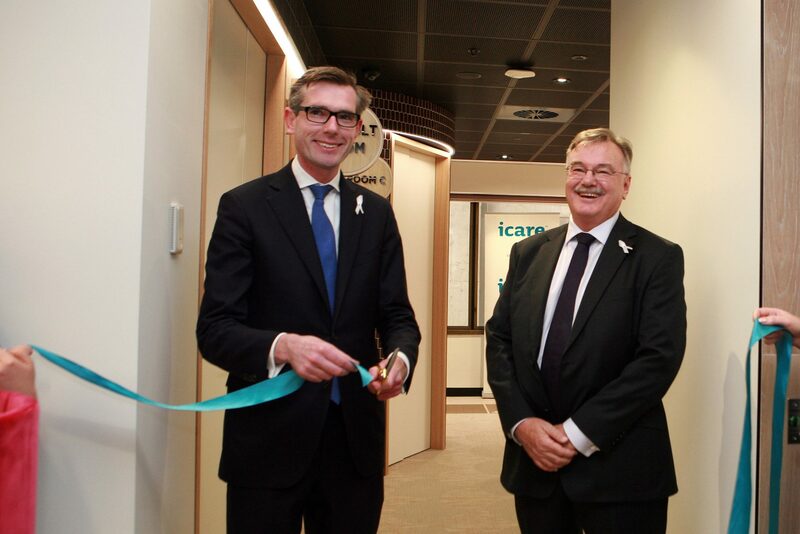 “By combining three distinct lung screening services in one location, the icare Dust Diseases Clinic reduces the time customers must wait for specialist appointments and diagnoses by more than 80 per cent,” Mr Perrottet concluded.